Five thumbs up!! This product is great. Easy to use. The NHS people also included my first two sided lamination cartridge for free with my purchase of the machine. The most versatile adhesive application and cold lamination system on today's market ! 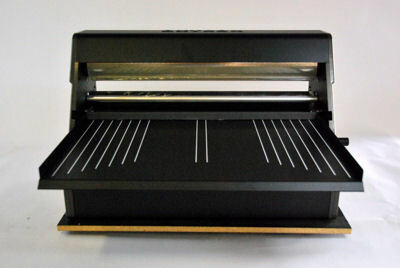 Xyron Pro XM2500 Laminator - Laminates and/or applies adhesive to items as wide as 25 inches. Perfect for projects up to 25" wide, such as posters, displays, mock-ups, banners and signs, maps, advertisements, POP displays, and presentation-board. Like the small members of the Xyron family, the Xyron XM2500 instantly applies laminate, adhesive, or both without heat or electricity. No spray, fumes or mess. Perfect for posters, displays, mock-ups, banners and signs, advertisements, POP displays, and presentation-board. Easy to use. Simply insert the item, turn the handle, and trim. Continour roll film is easy to reload. Refills include both upper and lower rolls in 300 foot lengths. 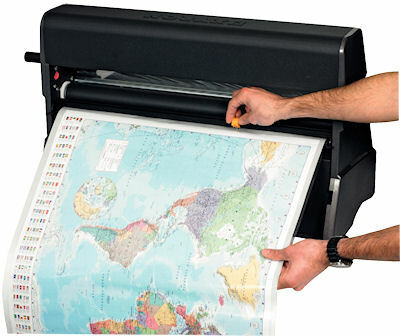 The Xyrom XM2500 accepts documents up to 25" inches wide and of virtually any length. Schools use it to laminate school science projects, labels, and classroom teaching aids. 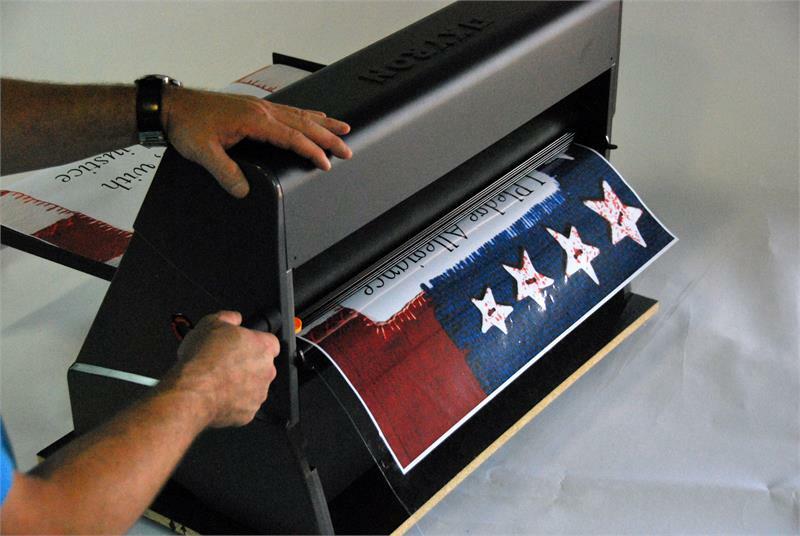 Unlike heat sealed laminators, the laminate applied using the Xyron 2500 can be cut without seperation as the laminate is adhered to the peice itself on both sides. The Xyron Pro 2500 is a green, environmentally safe machine - no electricity, no heat, no warm-up, no waste, no odor. This non-electric machine can easily laminate documents or transform them into signs, stickers or the perfect mock-up instantly. 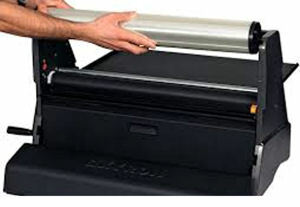 The Xyron 2500 cold laminator and xyron 2500 refill rolls are compatible with all types of computer printed media including inkjet, laser, thermal and color in a wide variety of materials .Laminate up to thicknesses of 3/16″ - Coroplast, gator board, foam core, etc. up to 3/16" thick. Machine ships without lamination or adhesive roll, must purchase one of available roll sets prior to initial use. Footprint: 18.5" x 28.125" x 15"